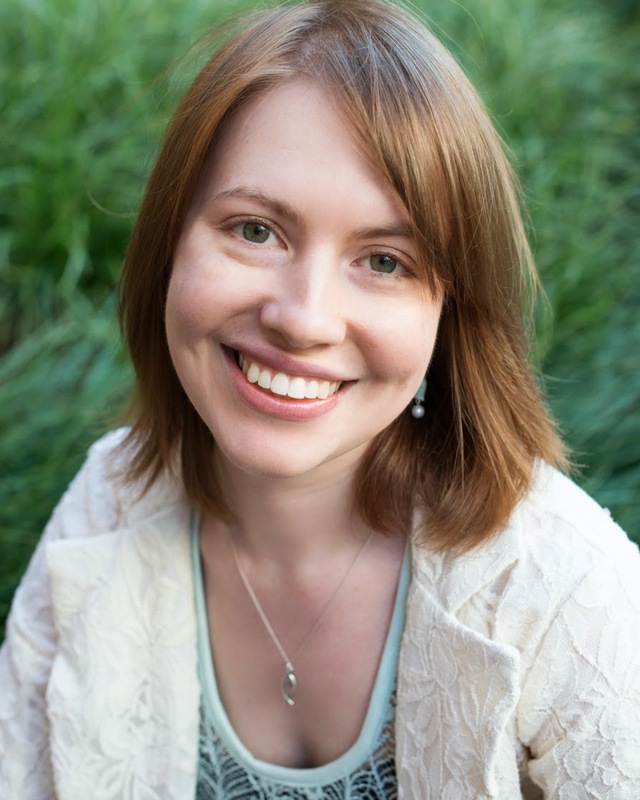 Jessica (@AuthorKeller) here: Today my friend and critique partner Amanda is here to share some tips on writing in Deep POV. Amanda's debut novel Seek and Hide released YESTERDAY **tosses confetti** and let me just tell you, this book is amazing friends. Amazing. So you know the rules of point of view (POV), the difference between first and third person. You understand what writers refer to as “deep POV.” You’ve decided you want to write that way, offering your reader an immersive experience in the thoughts and senses of your character. But when looking at your scenes, how do you know you’re writing deep? And if you’re not, how do you start? All right, so how to conquer them? 1) Eliminate sense verbs; instead, describe the sense itself. This is the difference between He saw a flower growing through the gaps in the fence and A flower grew through the gaps in the fence. In the first, the reader is seeing the character see something. In the second, the reader is seeing what the character sees. For the same reason, deep POV characters should never remark on their own blushing cheeks or white smile (unless they’re standing in front of a mirror). This principle can be applied to all of the senses, almost all the time. He heard an alarm blaring from the hallway vs. An alarm blared from the hallway. Tell us the coffee tasted too sweet, not that she tasted the coffee. 2) Eliminate “thinking” verbs; instead, put us in the thought. This pitfall is most common with memories, e.g. She thought about the times they used to ride the carousel vs. They used to ride the carousel, or She remembered the old red van they drove vs. They drove an old red van. A more subtle version of this is the use of sure when it isn’t needed. He was sure she could handle herself vs. She could handle herself. (Note: for this last one, “he” is the POV, not “she.”) You don’t need to tack she thought onto the end of a deep POV sentence. Just make the statement from inside the character’s head. The reader knows who’s thinking. 3) Rewrite any scenes in which there are no character thoughts at all. This is not deep POV: She gasped and ran. She looked over her shoulder, nearly tripped, but kept running. When she stopped to catch her breath and look around, she couldn’t see any pursuers. In these sentences, the reader is merely a camera. How much character thought/reaction is needed in a scene? That varies a lot (could probably be its own post! ), and of course, it can be overdone. Just make sure the reader is experiencing things from inside your character, not outside. 4) Eliminate emotion naming; instead, make the reader feel the emotion. This can usually be achieved by asking why. A few examples: The man terrified her vs. If she crossed him, he would hunt down everyone she loved. She worried often about her father vs. Her father might turn on the stove and forget about it thirty seconds later. She was determined not to cry vs. If she cried, he would mock her for a year. In the rewrites, terror, worry, and determination are shown not told, but the reader understands and has more to feel. 5) Rewrite any perceptions that are yours, not the character’s. We’ve all watched TV shows in which the characters say things they never would, in order to inform the audience. In deep POV, watch for this in the character’s thoughts, too, not just the dialogue. This is especially true of backstory. If backstory is going to come out through introspection (rather than action or dialogue, which by the way are almost always better), it should only be revealed when the character would naturally be thinking about it. Also in deep POV, your character naming must be consistent. The character shouldn’t think about Jack in one scene, Bauer in another scene, and CTU Agent Jack Bauer in a third scene. If she thinks of him as Jack, then she always thinks of him as Jack. Another example for this principle is a recent experience of my own. The main character of my book Seek and Hide does not appreciate music, and I made this clear to the reader. At one point, he attends a piano concert. My editor pointed out a (lovely, I thought) paragraph in which the emotional effect of music is described in appreciating terms, and asked why Marcus was suddenly affected by music this way. The answer is simple, of course: Marcus’s author is affected by music. That paragraph had to be rewritten to reflect Marcus’s perspective, not mine. 6) Eliminate head hopping. All of it. All the time. I hope these tips are helpful to you all. The best way to edit for deep POV, I have found, is to imagine your scenes through the eyes and body of your character. Don’t watch him; be him. Sooner or later, the POV enemies will become more obvious, and then you’ll find you can’t help seeing (and fixing!) them. Jess here: Need help writing in Deep POV? Have questions?—Amanda’s here to offer advice (and let me tell you, she’s amazing at this). What are some tricks you use to keep your writing POV deep? Six years ago, the government took control of the church. Only re-translated Bibles are legal, and a specialized agency called the Constabulary enforces this and other regulations. Marcus Brenner, a new Christian, will do anything to protect his church family from imprisonment--including risk his own freedom to gain the trust of a government agent. Aubrey Weston recanted her faith when the Constabulary threatened her baby. Now released, she just wants to provide for her son and avoid government notice. But she's targeted again, and this time, her baby is taken into custody. If only she'd never denied Him, maybe God would hear her pleas for help. When Aubrey and Marcus's lives collide, they are forced to confront the lies they believe about themselves. And God is about to grab hold of Marcus's life in a way he'd never expect, turning a loner into a leader. As a child, Amanda G. Stevens disparaged Mary Poppins and Stuart Little because they could never happen. Now, she writes speculative fiction. Holding a Bachelor of Science degree in English, she has taught literature and composition to home-school students. She lives in Michigan and loves books, film, music, and white cheddar popcorn. Connect with Amanda by signing up for the newsletter located on her website, follow her on Twitter, or like her Facebook author page. I write in deep POV and Jess, you nailed it. We should always try to climb inside the character's head and view the story from there. ;o) You do a great job of that. In other words . . . BE the character. Wonderful, informative information. Thanks, Amanda. Your book sounds like a great read. Her book is fantastic - just be prepared to stay up all night. Once you start it, it's impossible to put down! I consider her the queen of Deep POV. She's taught me so much and has really strengthened my writing over the years. Thank you, Andrea! (And Jess. You're awesome.) Deep POV is one of my favorite things. It can make me a fan of any author, regardless of genre. Glad you found this post helpful! Thanks, Amanda! Great tips on POV, and you explained them so well! I write in deep POV, and as a freelance editor, it's something I work on with my clients. I hear you! I favorite this post already to use when I'm working/critiquing pre-pubbed writers. I really think reading this will help them understand the concept so much better than when I try to explain it! The authors I edit for must get tired of me spouting off about this very topic all of the time. Well, now I have shared this post with them on Facebook, and they can see that I'm not the only one. Thanks for this easy to understand and usable post. Awesome advice, Amanda! I've learned a lot more about deep POV over the past couple of years, and I believe I'm a better writer for it. Hearing your thoughts is yet another helpful reminder to see through my characters' eyes. Thanks! Rachelle, I totally agree--deep POV writing is better writing. Glad you enjoyed the post! Great examples. I'd love if #3 was its own post! Thank you for writing this. You not only told us what to do, you told us how to do it. I will be sharing this. I love this post! Never have I encountered a clearer explanation. Brilliant! Thank you so much. Nice it was helpful but what if I m writing a third person book and I want to write a really intense and emotional scene...Any points for that? Jade, for deep POV in an intense/emotional scene, put yourself inside that character and walk through what these emotions feel like--is he shaking? Is it hard to breathe? Is his stomach clenched up? Let us feel that anxiety with him without telling us he's anxious. Emotions do things to our bodies, and describing that (without overdoing it, of course; characters who constantly cry or feel like vomiting are just irritating) is a great way for us to experience the emotion. Great post. You nailed it. Thanks for these tips! I'm deep in revision right now and started looking for these slips. Totally surprised when I realized how often I was doing it! BRAVO, BRAVO, BRAVO! Well put. This can be so hard to do, but it really does work. As the others have said, this nails it. Nice. What about tense, Amanda? What do you think about writing deep pov in the present tense instead of the past tense? Wouldn't this make the whole thing more (in)tense? :) and deeper? I've tried both and l think it can be done in both. However when you write in past tense l think you can get away with putting in more insight because when you are telling of events that have already happened you would give your reader more details than if the story is unfolding. I have been reading as much as l can about deep pov in an attempt to understand and conquer this style in my first novel. What l have found is the same few points over and over. There were a couple of new insights in this post. 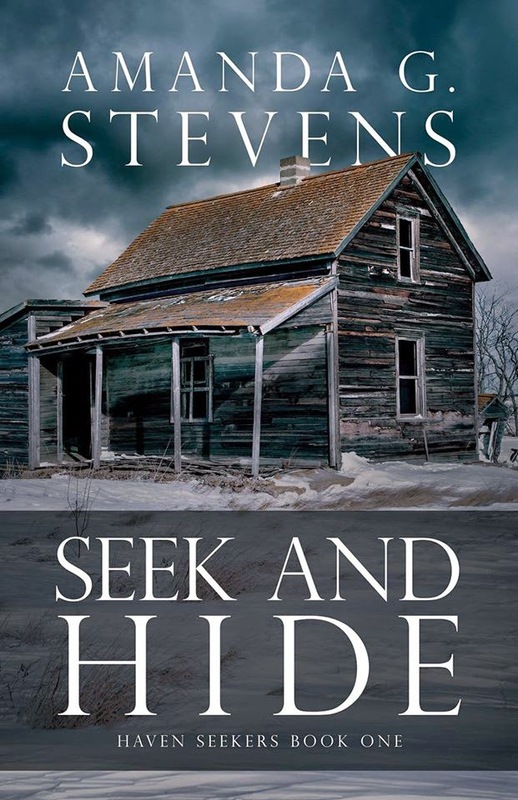 So l read the fist chapter of seek and hide hopeing for more insight instead l got more confused. The story is being told from Marcus's pov but the view isn't always from in his head, often the view is from the out side and we are watching Marcus. I was under the impression that deep pov meant only seeing what the mc sees and looking at the mc from the outside? Early on in the story l came across a line -About time somebody besides Marcus had a sensable thought. He set down the axe. If we are in his head seeing his thoughts shouldn't the line be- About time someone besides me had a sensible thought.- or maybe just -About time someone else had a sensible thought.- I could be that Marcus is thinking about himself in the third person. There are times when this works for a characters thoughts ie -A gold star for Dermott, he can impress adolescent girls with his worldly wisdom- or -Poor Spike had a trip to the vet and now he can't play with the other puppies any more- In both cases there is an obvious air of sarcasm. Which fits with the mc referring to themselves in third person. In this case when Marcus's name is used it appears to me that we are not in his head anymore instead we are looking at him from outside. As l said l thought this went against method of deep pov? Yes, deep POV is seeing what the MC sees, not looking at him from the outside. In third person, the thoughts in the character's head are presented to the reader as factual statements. Hence the sentence you reference above. Marcus is thinking, about time someone besides me had a sensible thought. But because deep POV is an unspoken filter giving us his mind and no one else's, that thought is told as if it is factual, because to Marcus it is fact. Yes, you could do the same thing with "me," but in third person you would have to italicize it. Which isn't wrong, but a lot of italicized thoughts tend to be distracting because they're so blatant on the page. It's best to keep them to a minimum when you can, and use the unspoken POV filter to present character thoughts "as fact." An example of what *would* be distancing from deep POV: Marcus thought that it was about time someone besides him had a sensible thought. Or, About time someone else had a sensible thought, Marcus mused. These sentences are drawing attention to the fact that "Marcus is thinking," which is something we don't do inside our own minds, so it reasserts the presence of a narrator and therefore pulls us out of the deep POV. 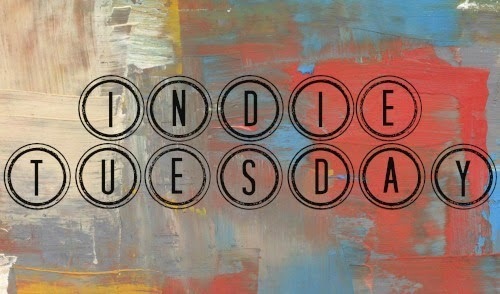 Indie Tuesday—Do Indie Books Need Endorsements? Are You Surrounding Yourself with Toxic Writers?